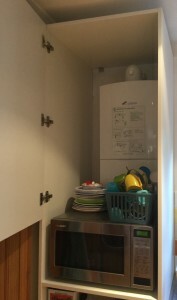 White melamine faced tall unit (2300mm) is built around the boiler, with a door finishing just above the microwave, hence only covering the boiler. 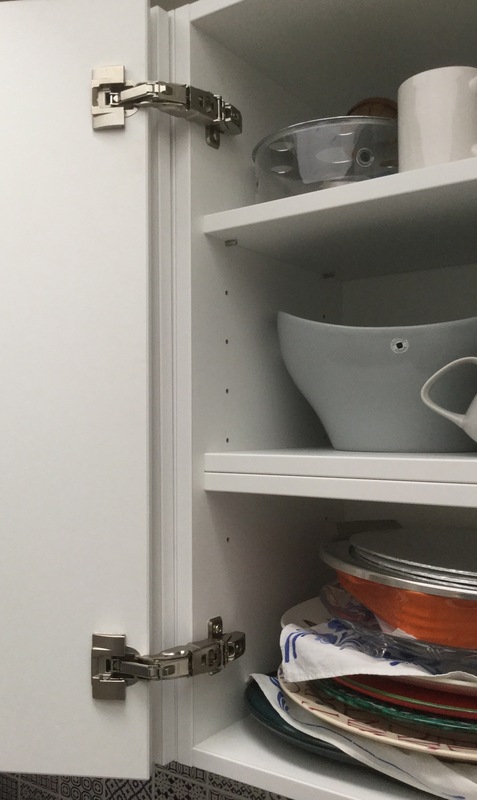 A shelf at the height of 1050mm is the base for the microwave. 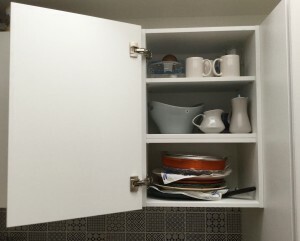 Open shelving in the lower part of the cupboard guarantee that items which are frequently used can be accessed swiftly. 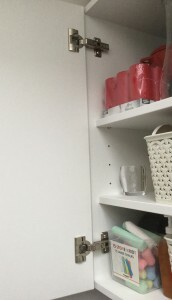 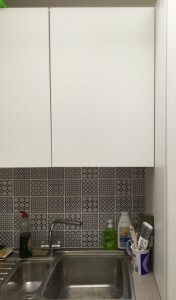 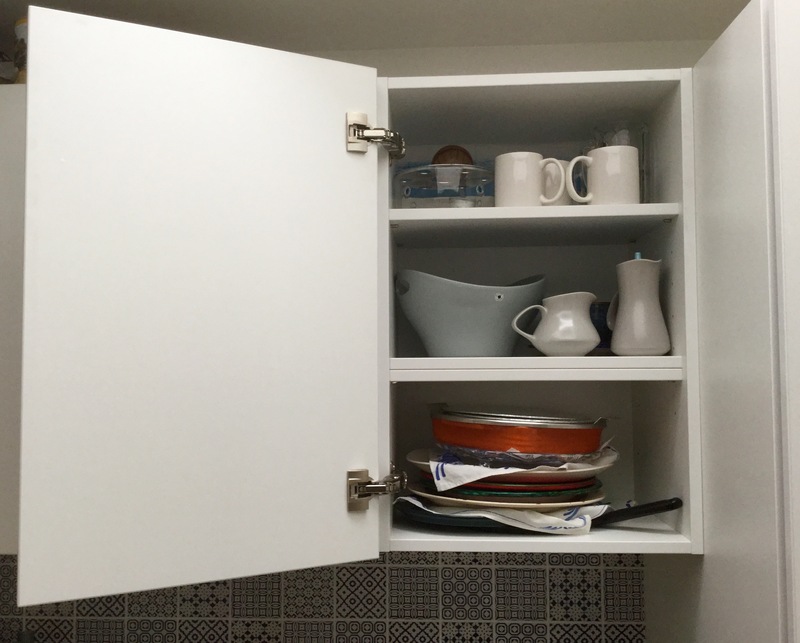 The upper part of the tall cupboard has a door (950mm) but no bottom shelf, as to allow air to circulate. 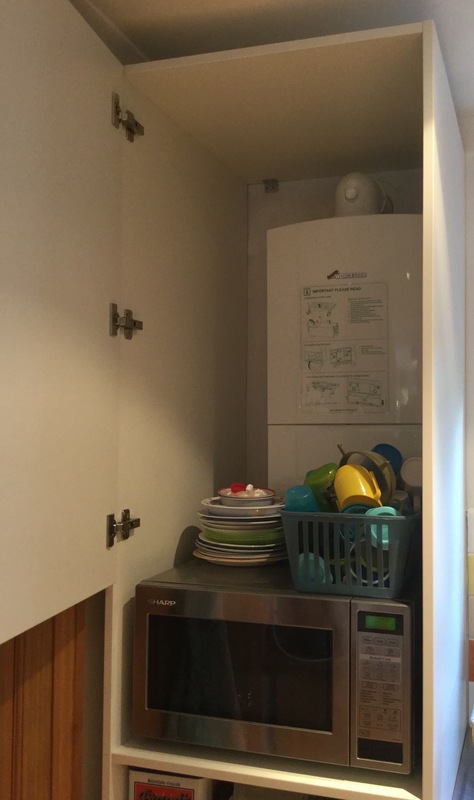 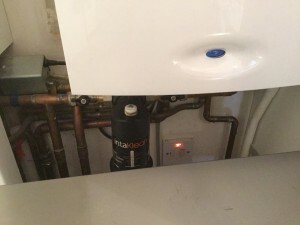 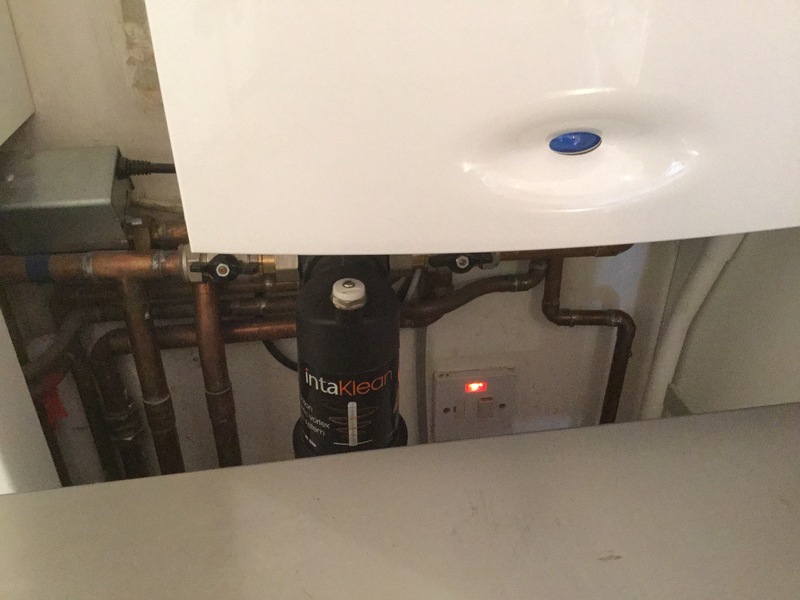 The microwave can now be used at a comfortable height, sitting on a shelf below the boiler, hiding the pipes and boiler filter just behind it. The upper cupboard and lower shelves are partly backless for easy access to pipes. 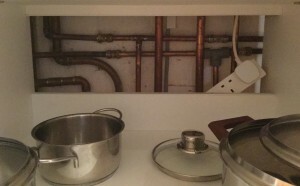 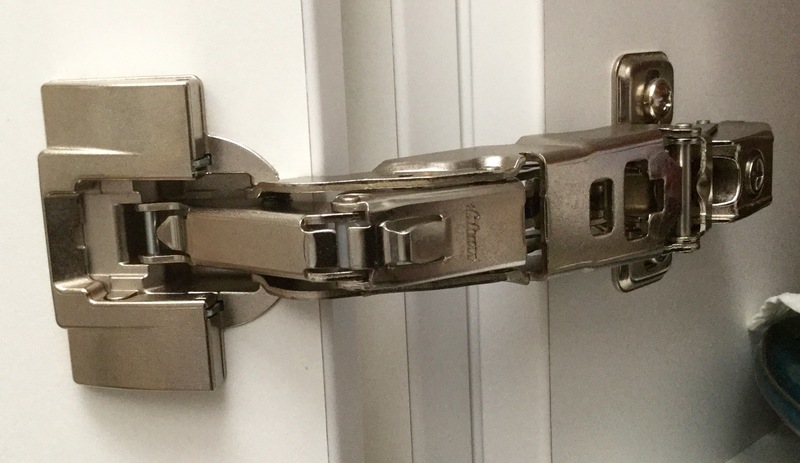 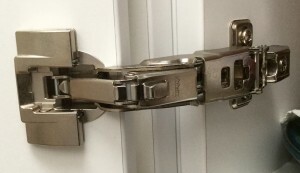 The microwave can easily be pulled out for access to the boiler filter.